It’s common to drive on a beach in New Zealand. In fact, some of the earliest roads were beaches and even race tracks (e.g. the beach at Muriwai, west of Auckland), and some of our most popular tourist attractions are, too (such as Ninety-Mile Beach). 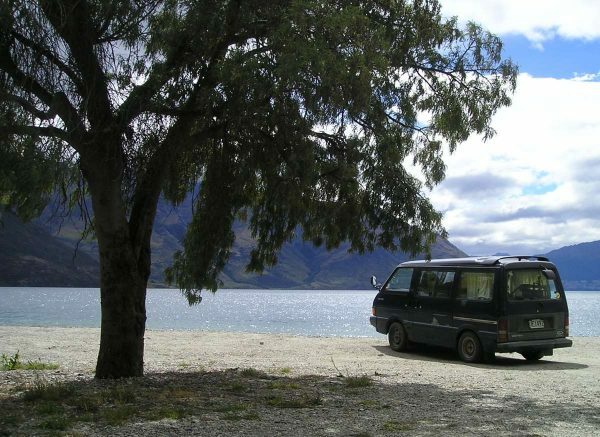 Sometimes beaches are the only way to get to some of the more remote diving and fishing spots and camping areas. Plus, you can carry gear easily for kite surfing and other family activities. All beaches with public access are regarded as public roads, though, regardless of whether they are typically used by vehicles. This means that road rules apply, even if there is no signage. There will sometimes be signage explaining what you can and can’t do on the beach, plus any speed limits that apply. You can check with the local council to see if they have any specific bylaws if you’re not sure. For example, in Auckland two beaches require permits, e.g. Muriwai and Karioitahi – you must purchase one before you drive on the beach – while all other beaches in the Auckland region are off-limits for driving except for launching or retrieving a boat. In Northland, some beaches have a 30km/h limit. You can drive on the 107-kilometre Ripiro beach in Northland which stretches from the Maunganui Bluff in the north, right down to Pouto in the south. 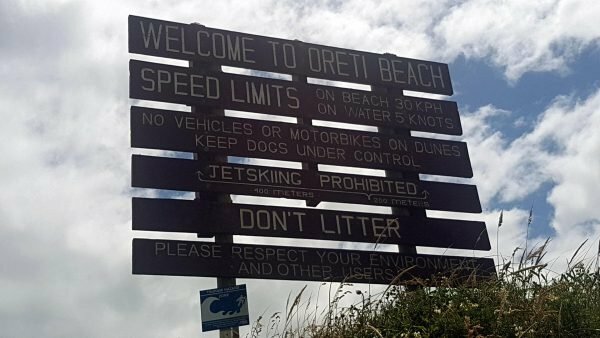 The signage at the world-famous Oreti beach near Invercargill explains the rules and the speed limit. 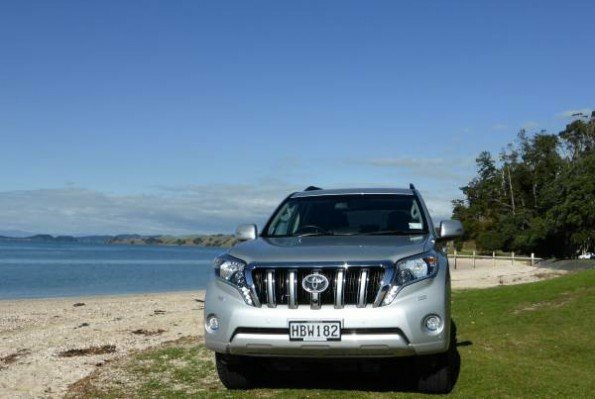 Is your vehicle suitable for the beach? Two-wheel drive cars with low ground clearance are not – you’ll need something with four-wheel drive and at least 180mm ground clearance at a minimum. Check your insurance policy. It may exclude all beaches, or certain beaches, or allow only specific vehicles on beaches (e.g. four-wheel drives). If you are not covered and you get stuck or have an accident then your insurance company won’t pay. Watch out for animals. Never drive where there are nesting birds such as oystercatchers and dotterels. They nest above the high water line and their chicks and eggs are incredibly difficult to see. Other animals also use beaches, such as seals. Dogs are banned on some beaches; check with the local authority whether this also applies if they are in your car (and bear in mind that you shouldn’t leave your dog in your car on a hot day, anyway). How hot does it get in a car in summer? Never drive on the dunes as you will cause erosion. Don’t leave food scraps around as these encourage non-native animals such as rats which make it difficult for native birds and insects in the dunes. Take all your rubbish away with you. We don’t need any more plastic entering the ocean. Drive where the sand is hard, nearer the water. If you drive in the soft sand near the top of the beach then you can easily get stuck, and you might also kill nesting birds. Don’t drive in the surf as it’s extremely bad for your car and if you get swamped by a wave then it could stall the engine and you might not be able to get it started. Don’t make sudden turns as your wheels can dig in on the sand and (if you have a vehicle with a high centre of gravity like an SUV) you could roll it quite easily. Keep your headlights on to improve visibility. Watch out for other beach users. You have to give way to pedestrians on the beach. Be careful of not getting tangled in other people’s fishing lines. Avoid what look like shallow puddles as they can sometimes be very deep and it will rip the wheel off your vehicle. Also be on the lookout for submerged objects. There are plenty of rusting cars buried on beaches like Muriwai and occasionally bits of them poke up out of the sand. Look out also for larger pieces of driftwood. Keep a watch out for changing surfaces. 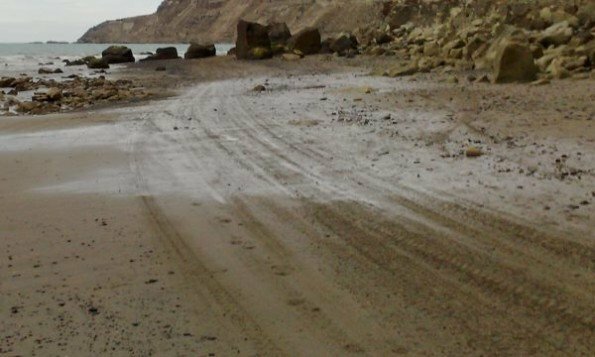 Some beaches are very compacted and easy to drive on but can become very soft quite quickly, even to the point of having quicksand. Maintain your momentum. Maintaining momentum keeps your fuel usage down, and makes it less likely you’ll sink into the sand. Can you get on and off the beach where you want to? You can get a 2WD family hatchback on the beach at Baylys Beach, but if you drive 25km up to Maunganui Bluff, there’s no way you’ll get it over the rocks and broken concrete off the beach without leaving bits of the vehicle’s underside as sacrificial offerings. Beach access at Maunganui Bluff is 4WD only. Even ATVs drive slowly as it’s strewn with boulders. 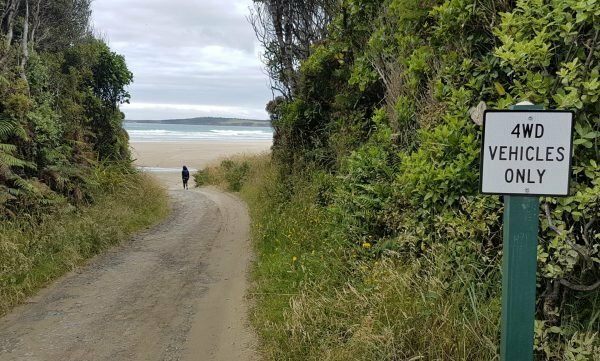 Some beaches will tell you if it’s 4WD only, like this beach in the Catlins. Check the tide times. Some common beaches used by vehicles are impassable at high tide (e.g. the beach to Cape Kidnappers in Hawke’s Bay) and you’ll have to wait. The higher the tide, the closer you have to drive to the soft sand at the top. Take a spade. If you do get stuck, you can dig yourself out. Don’t spin your wheels in the rut, though, otherwise you’ll dig yourself a hole which will be more and more difficult to drive out of. You should let some air out of your tyres to get more grip. You’ll need to take a pressure gauge to measure the pressure and a pump to reinflate them afterwards. Dropping them from in the 30s to around 25psi will give you quite a lot more grip and if you’re in real trouble you could deflate them a little more – drop that to 20psi. Don’t go lower than that, though, or you risk tyre damage. If you start to get stuck, straighten your wheels out (unless this means you’re heading into worse terrain), as this will help you keep momentum. If you do get stuck, dig a channel out in front of each wheel and clear the sand from under the vehicle. Always park facing towards the water and away from the main area that people drive. This is so that you can see the approaching tide and also so that when you start you have a downhill slope to get some momentum. Take extra water and food in case you do get stuck, and take any other relevant precautions – assume that you might have a problem and will have to wait for a rescue. It can help to lighten the load as it reduces your chance of getting bogged down. Let other people know where you are going and give them an expected return time. If you’re heading on an extended road trip check out our road trip guide. Thoroughly clean the exterior and underside of your vehicle when you get back. Salty sand is highly corrosive. You’ll most likely need to water blast the underside unless you’ve only driven very gently. If you’ve let your tyres down, pump them back up again.